You are not alone to get such “backup session failed” error. There are lots of complaints from discussions.apple.com about this backup errors. Even trying all the methods provided by Apple could not get this issue fixed. But here you can find the effective methods. There are several useful things you can do to fix iTunes backup session failed messages. Tips to manually fix “iTunes backup session failed” are not 100% effective and takes much time. You don’t need to stress yourself though. Instead, you can take advantages of the easy-to-use iTunes repairer, iMyFone TunesFix. You can simply rely on iMyFone TunesFix to solve all your iTunes issues. iTunes data and backups are protected when repairing. You don’t need to worry about any data loss. Step 1: Launch iMyFone TunesFix and it will automatically detect your iTunes and components. 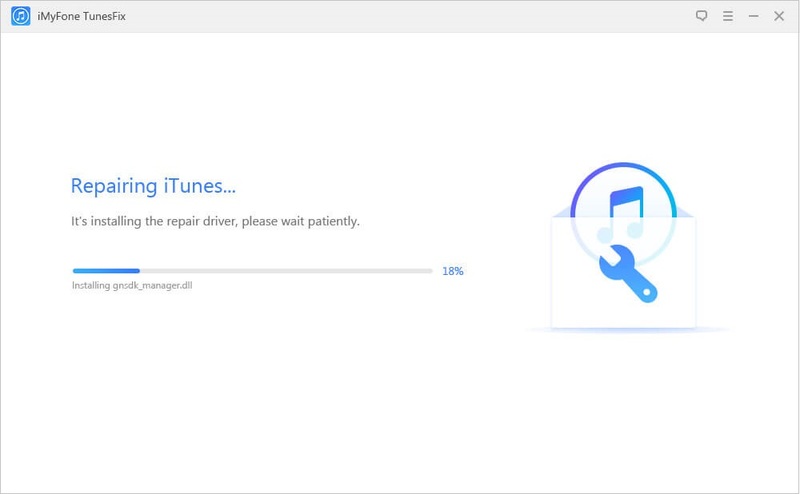 If your iTunes isn’t complete, it will allow you to repair the components issues. Step 2: Or you will be brought to the homepage. Select the repair mode. In this case, choose “Repair Backup/Restore Errors”. Or choose "Repair iTunes Connect Issues" to solve "iTunes could not connect because invalid response", "... the value is missing", "Error 0xE", "iPhone not showing on iTunes", etc. Or choose "Fix iTunes Install/Update Issues" to repair "iTunes/iTunesHelper was not installed correctly", "Installer has insufficient privileges", "Windows Installer Errors", error 2, error 126, error 1305, etc. Or choose "Fix Other iTunes Problems" to solve any other unkwown errors or issues. Step 3: Click on “Repair” to start the process. It will help to fix the backup session failed. 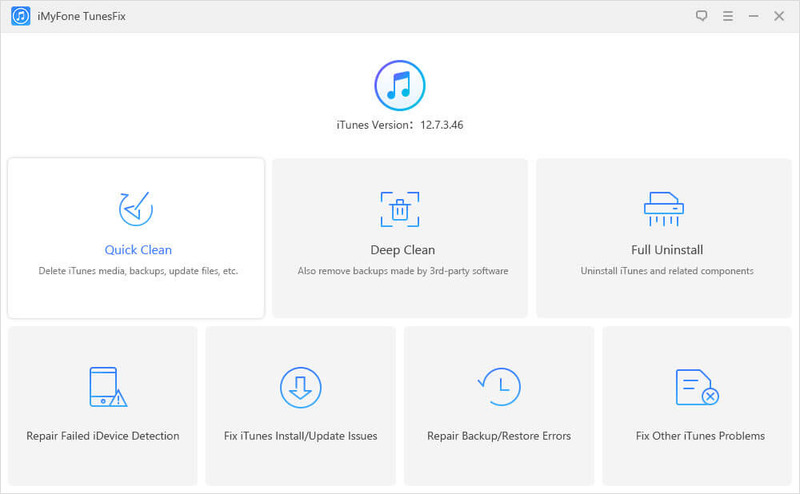 If you are getting iTunes backup session failed messages, it is likely that the problem is coming from either your Apple device or your PC. So the first thing you can try is to restart your PC and Apple devices. Make sure that you have disconnected your Apple device from your PC before restarting. Once both devices are restarted, you can then reconnect them. The error should be solved and you can try the backup again. It is possible that your antivirus software is the cause of your iTunes backup session failed error. Your antivirus may view some of the processes involved in the backup as a threat and stop them from working. If this is the case, you would need to temporarily disable your antivirus and firewall programs and try the backup again. If this doesn’t resolve the error, you can try the next tip. There may be a conflict between the name of your old backup files and the new backup. If this is the case, you can resolve the conflict by renaming your old backup files. You don’t have to rename the entire file though; you can just add something to show it is an old backup. iMyFone TunesFix also works as an iTunes cleaner which allows you to preview and remove unwanted iOS backups from iTunes. 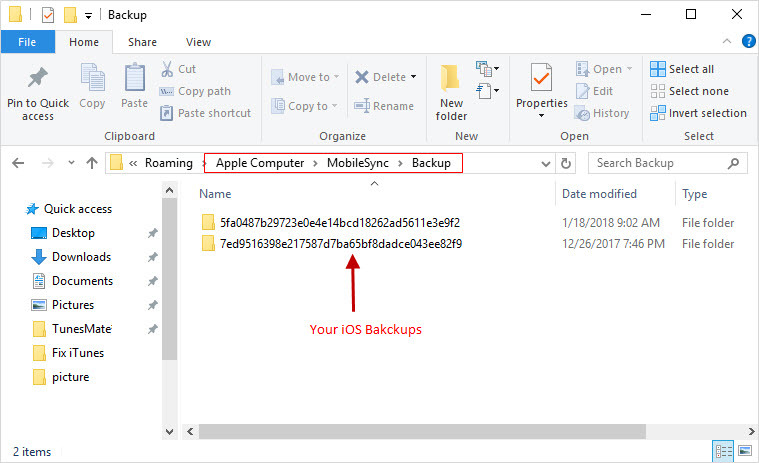 If you need, it also allows you to delete iOS backups secretly created by third-party software, which would save you huge space and boost PC performance. TunesFix can clean iTunes media, old backups, software update files, cache, logs, cookies and other junk files. Step 1: Run iMyFone TunesFix. Step 2: Choose “Quick Clean” from the home interface. Let it scan. Note: If you want to thoroughly delete all old iOS backups from PC (instead of just iTunes backups), choose “Deep Clean”. 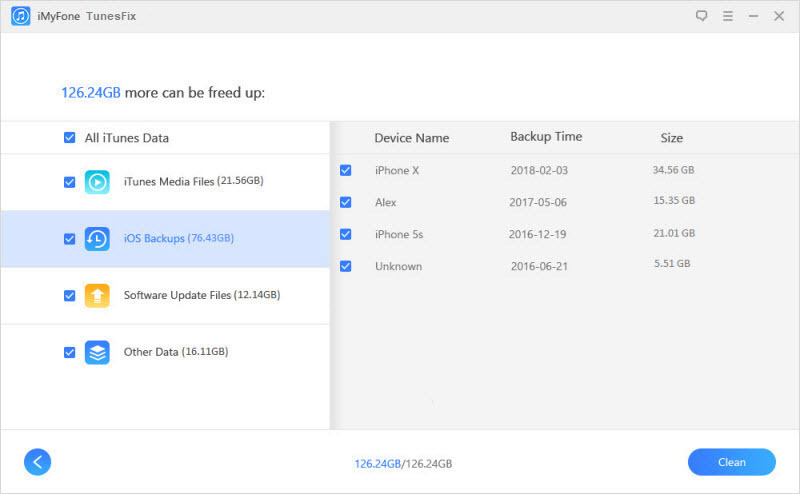 Step 3: Preview and select the unwanted backups. Click on “Clean” to let it clear the backups. Step 1: Connect your device to a Wi-Fi network. Step 2: Go to “Settings” then tap “iCloud”. Step 3: Tap “iCloud Backup”. If you’re using iOS 10.2 or earlier, tap “Backup”. Make sure that iCloud Backup is turned on. Step 4: Tap “Back Up Now”. Make sure to stay connected to your Wi-Fi network until the process completes. This option is quite useful if you’re having problems with your iTunes backup. However, the downside is that you have to use an internet connection to complete the backup. Depending on the size of your backup, this could take a while.